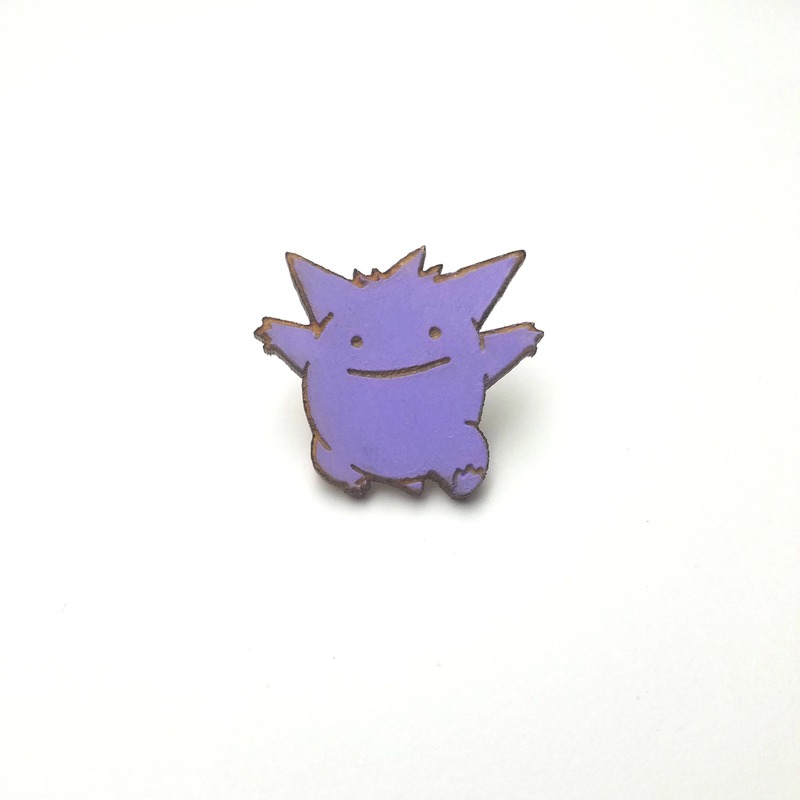 Ahh it's Ditto! 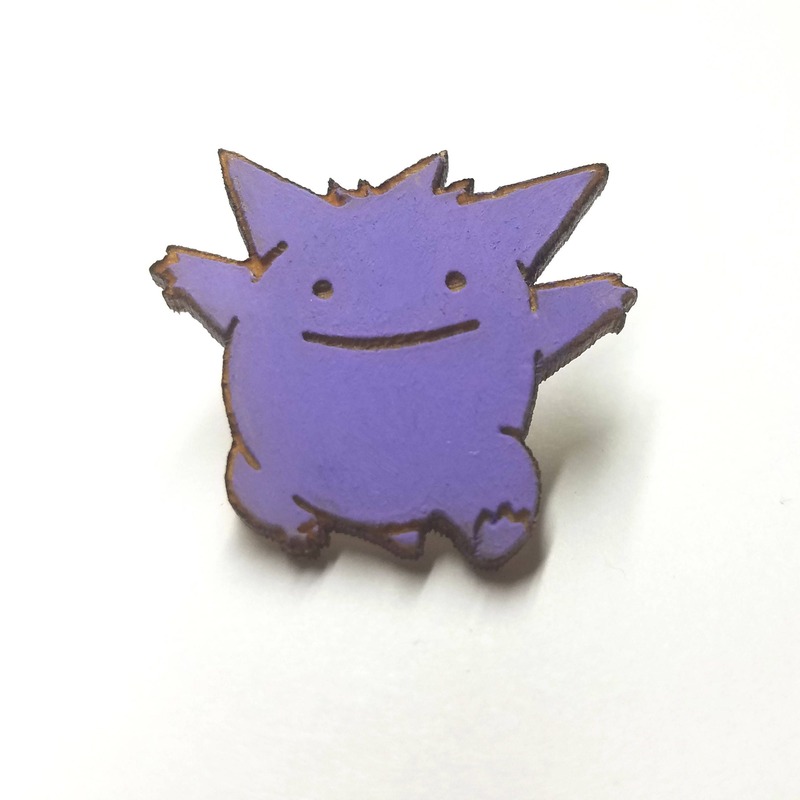 He's pretending to be Gengar! 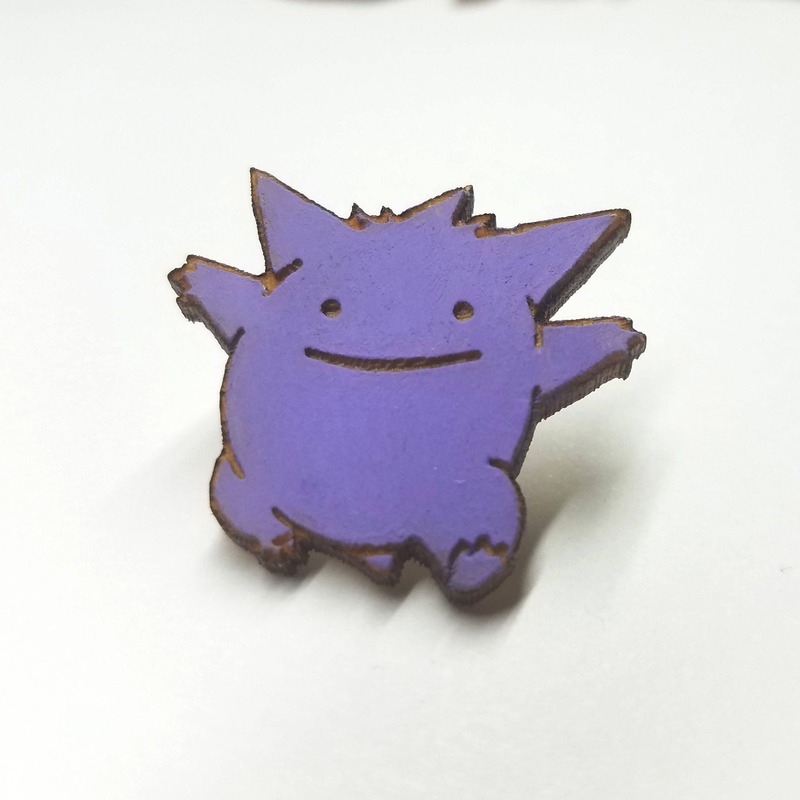 This pin is laser cut out of wood and then hand painted by me. +Made with a tie tack style pin back. Want more than one? Send me a message and I will create a custom listing for you. I LOVE custom orders. Have a specific design in mind? Let me know and I'll do my best to make it happen.